Hye bopys and girls it's your boy TheIrish77 and got another one cooking in the kitchen! Playing a 3.30$ 500$ Gtd Bounty Hunter and have manged to run rupshot over this field so far. Already 10 Ko's to my name for over 13$. so no matter another decent profit. But with more than 3.3 Milly and 2nd only having 1.5 it's looking promising. I'll be back with an update if we reach another final table 1st on the night. FINAL TABLE HYPE! Noiw 2 of 8 boys and girls. So ended up cashing 2nd in this run. got way behind and too impatient heads up. far too tired and just couldn't hold it together for the win. Made just over 64$ with 12 Bounties included which were worth over 26$. Pissed at myself for not finishing stronger but hey from a 3.30$ Investment i'll take the increase in BR like this every time. Night all and hope everyone's well and happy. Nice result again there TheIrish. Take from this one of the most important lesssons in poker, which I am sure you are already aware of....... stay focussed and concentrate, especially when tired and don’t be impatient, heads up is an important part and the important point isn’t to win, not come second. Looking forward to hearing about more success soon. Congratulation!!! very well done as always have good result every time you play. salute!!! You have made a very nice profit from your buy in. That bankroll of yous, is growing consistently, as it should. Congratulations on another win. Keep it up. 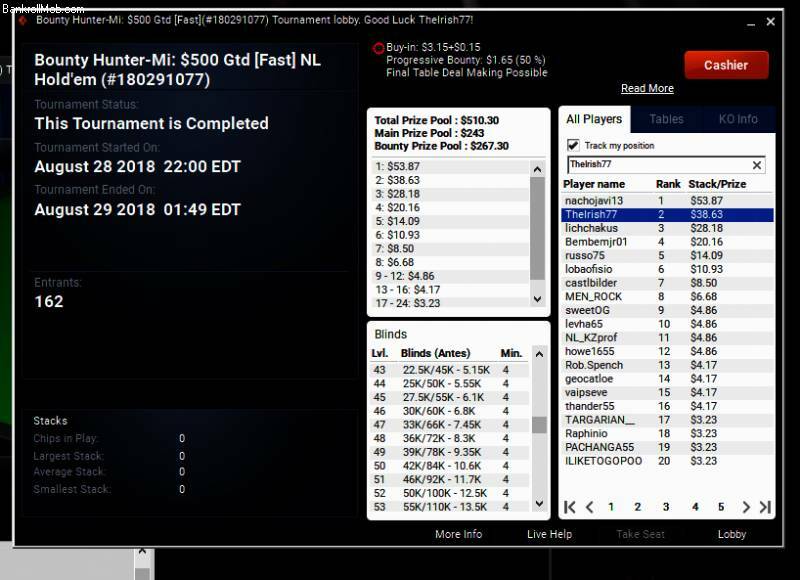 Big congratulations to TheIrish77 for finishing the $3.30 buy-in $500 guaranteed bounty hunter tournament on partypoker in second place and scooping $65+ in less than 4 hours. That's a good return on your little investment. Very well done! Good luck with your next session. Another great run my friend and well done again to you. It goes to show how well you are playing when you are so disappointed at coming second when us mere mortals would have been over the moon!!! Well done! Yet another good profit and I expect even more to come! I must say that I'm truly impressed with how you're managing to get final table after final table almost every single day. 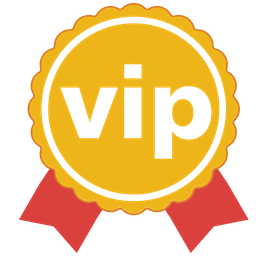 You're certainly doing something right so just keep on doing what you're doing and you'll earn a really good profit!